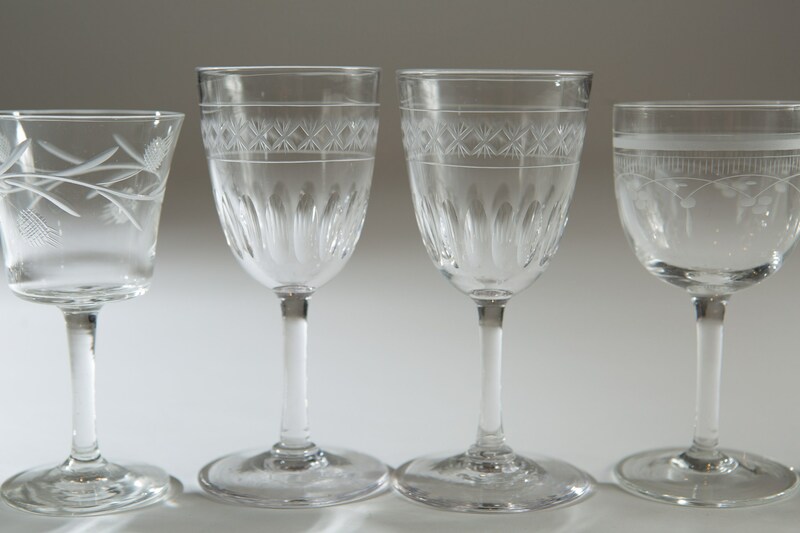 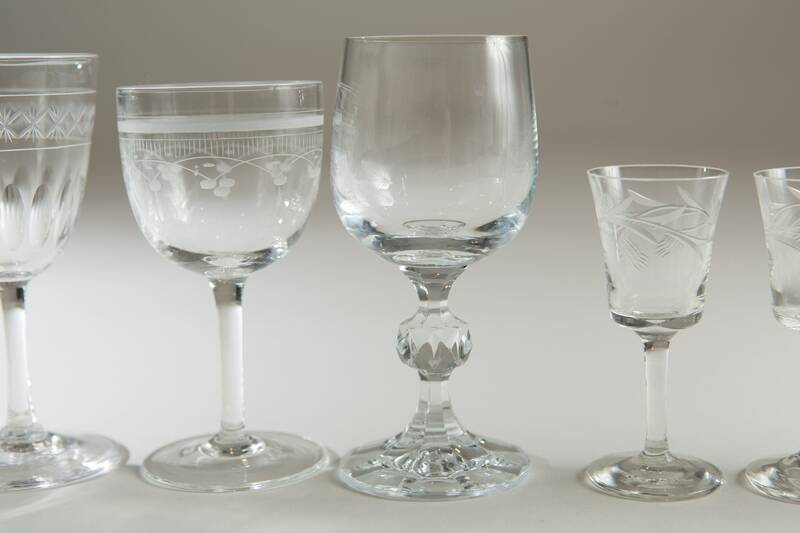 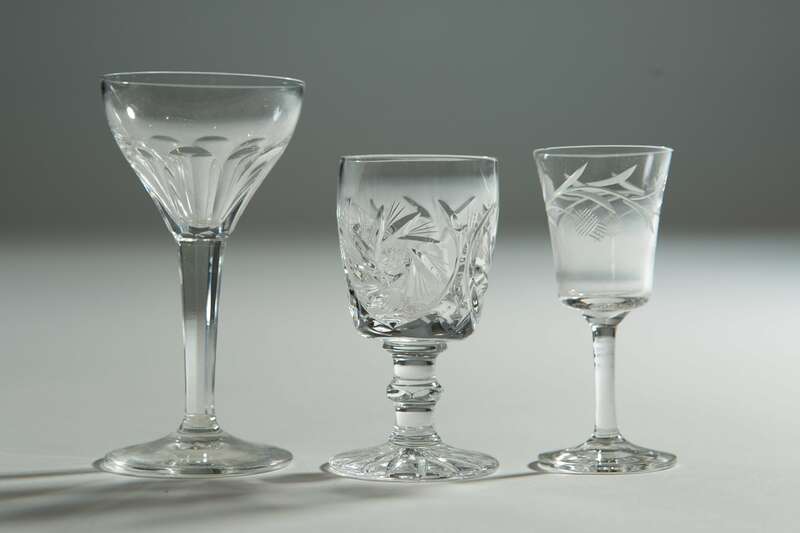 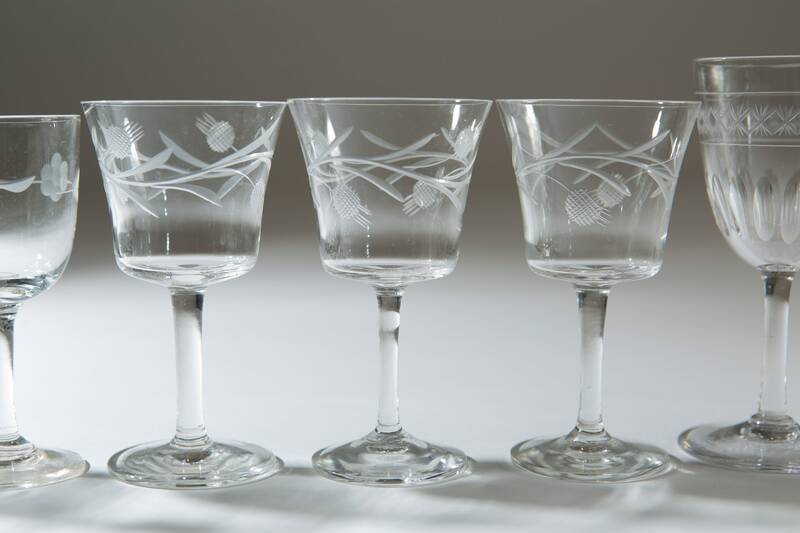 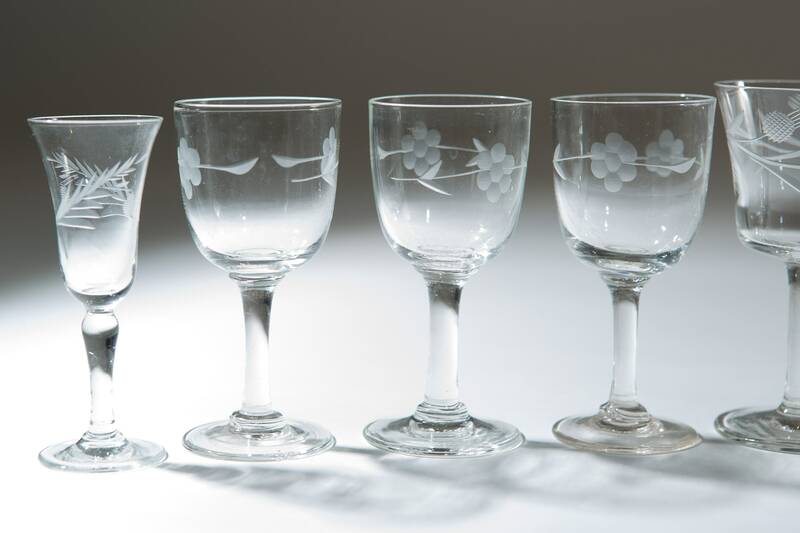 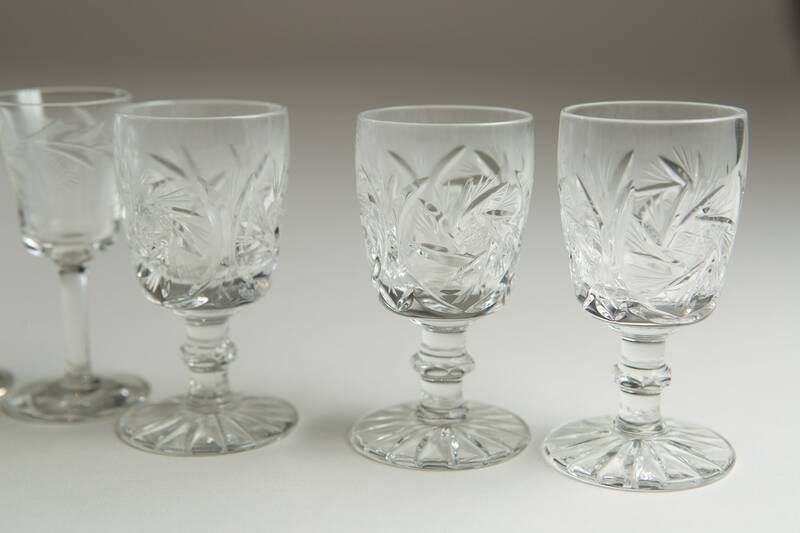 Serve your favourite port or liqueur in these elegant stemmed glasses with etched motifs. 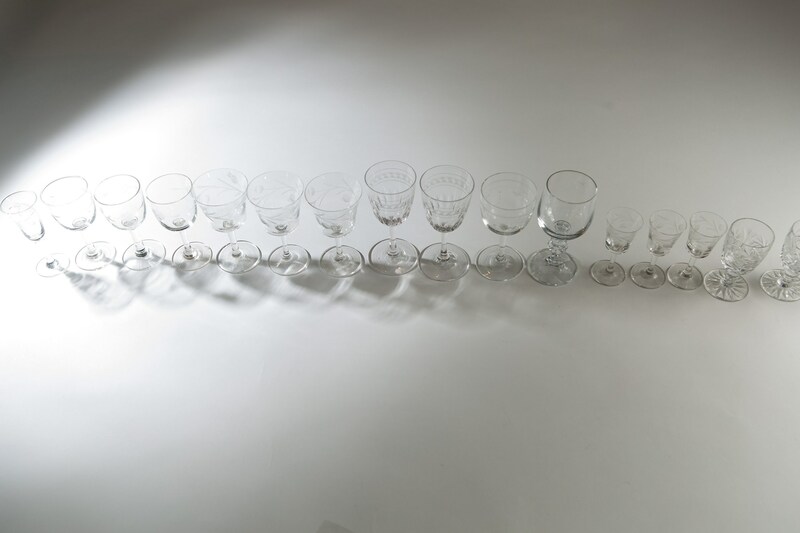 The listing price is for the set of 20. 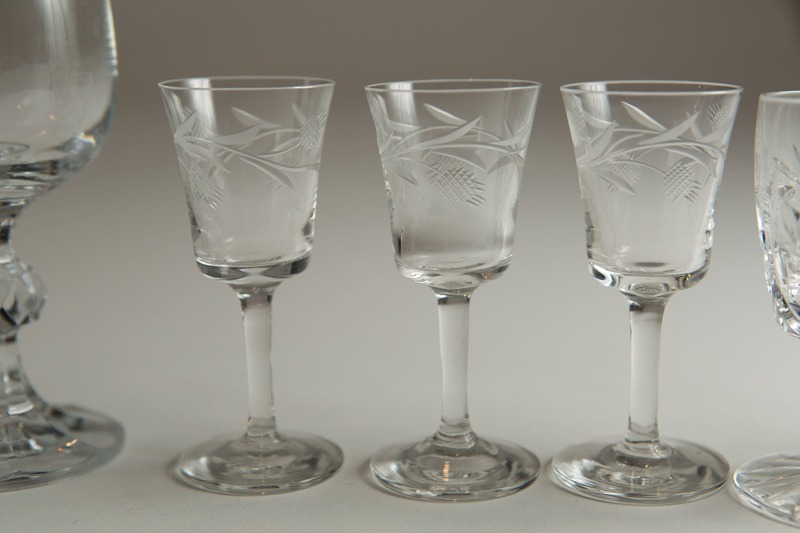 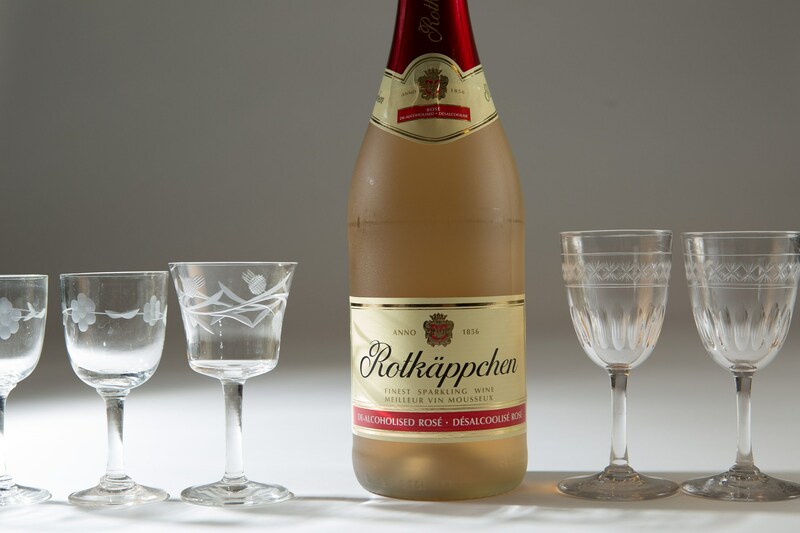 Smallest glass holds 0.5 ounces, largest holds 3oz.